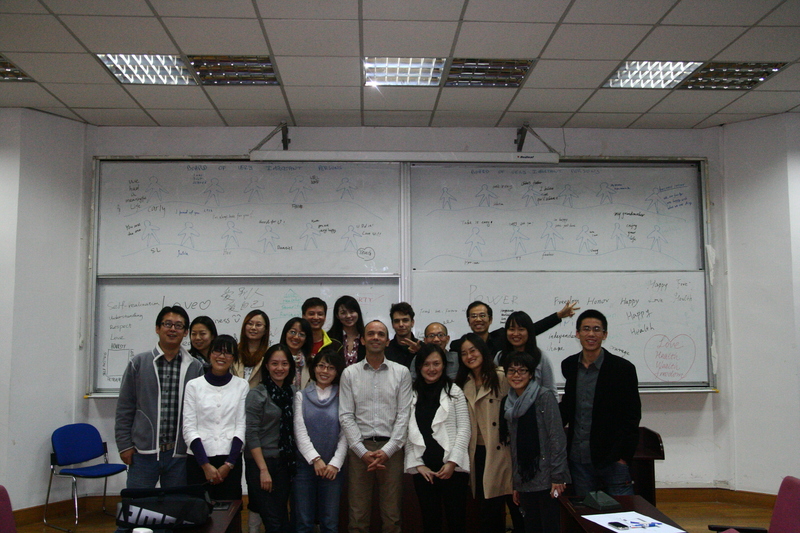 While teaching a class on business ethics at Jiao Tong University in Shanghai in October 2011, students asked for a teaching about meditation techniques. Often, issues of ethics in business connect us with questions that can be overwhelming and for which mental control is of little help. It is thus important to learn how to keep a protected sense of self, a harmonious connection with our emotions, and a firm grounding of our body. I proposed them a dreaming session modeled upon the Dreaming & Visioning sessions that I give at INSEAD for executives and that include specific and directed meditation exercises. In a first duo conversation exercise, students learned the practice of active listening while the other is unfolding at will his or her self-awareness of dreams, successes, failures, ascending influences and cultural constraints. There is always a moment of truth when confronted with “tiny but frightening requests” as David Whyte writes in his beautiful poem Sometimes. I could watch the flow of these intimate conversations, realizing how much Chinese could openly speak about themselves, with this gentle and playful attention that I had already observed among Chinese climbers. As they were speaking in their own language, I could stop by and listen without any risk of intruding, observing facial expressions which are so different than the occidental ones I am more used to. After sharing our learning, which included both the pleasure of the art of conversation and the silent power of listening, we joined a sacred and secret place in ourselves where we could feel safe and comfortable. We dreamed and met ourselves in 15 years. Although I do guide these visualization exercises, mixing my early training in sophrology techniques when I was a professional athlete with psycho-spiritual techniques coming from Milton Erickson or Michael Harner that I have learned later on, I have no access to what participants have been dreaming about and this is exactly what I want. My ethics in these moments is to make sure each one has his or her own intimacy fully respected and shared only when appropriate. However, we do have an opportunity to share some aspects of our dreams, in particular our encounters with Very Important Persons, those who accompany us in our life as loved ones, mentors, inspirational figures or spiritual guides. We share what these persons would told us if we manage to live our life at our full potential and anchor these experiences in a form of theatre that is inspired by the work of Sue Jennings on "Theatre, Ritual and Transformation" with the Malaysian Senoi Temiar, a tribe that I spent time with and had the priviledge to share some of their dreaming decision-making techniques. This does not prevent us to have fun as much as being deeply moved, as I have gladly discovered that we do not need to take ourselves too seriously in these experiences. There can also be lightness proper to the atmosphere that I am trying to create around us, with trust in the group, trust in oneself and trust in the facilitator. I particularly love when we laugh at ourselves which hopefully happens often, as a proof that we are close to what makes us truly human. Finally, we ended with a fresco of our most important values on the whiteboard, as a way to share the words that could guide us towards the life of our dreams. 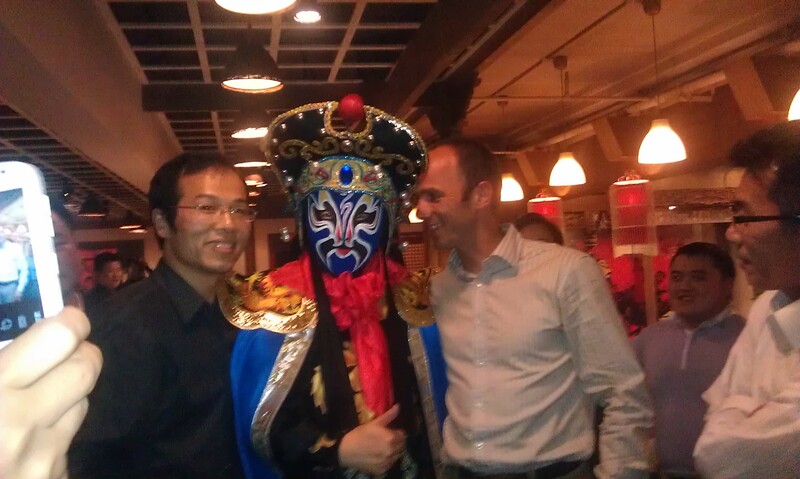 I keep a vivid memory of that unique afternoon, and of the gift I receive afterwards: a diner at the Sichuan opera, discovering this stupefying magical mask changing art, Bian Lian, as an invitation to the discovery of the multiple selves that populate our own.